India on Friday expressed deep concerns over Chinese incursion into Sikkim and said New Delhi cherishes peace and tranquility in the India-China border areas. The Ministry of External Affairs (MEA), in a statement, said the India is deeply concerned at the recent Chinese attempt to construct a road Doka La area in Sikkim. "India is deeply concerned at the recent Chinese actions and has conveyed to the Chinese Government that such construction would represent a significant change of status quo with serious security implications for India," the statement said. It further added that ".the two Governments had in 2012 reached agreement that the tri-junction boundary points between India, China and third countries will be finalized in consultation with the concerned countries. Any attempt, therefore, to unilaterally determine tri-junction points is in violation of this understanding". 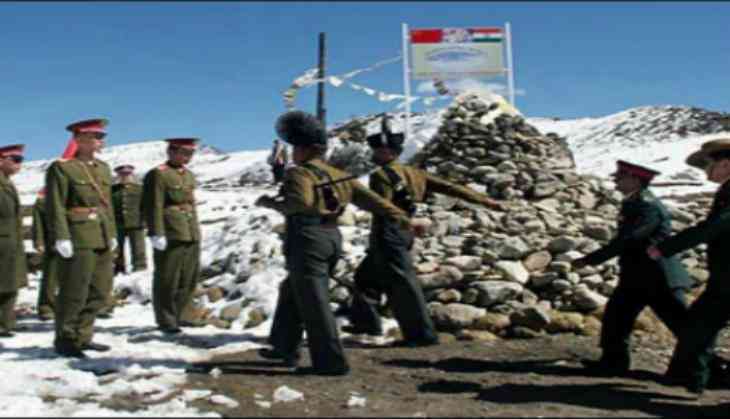 India's response comes after the Chinese Foreign Ministry on June 26, 2017 alleged that Indian border troops crossed the boundary line in the Sikkim sector of the China-India boundary and entered Chinese territory. The MEA said as a matter of fact the Chinese troops violated border agreement. "On 16 June, a People's Liberation Army ( PLA) construction party entered the Doka La area and attempted to construct a road. and a Royal Bhutan Army patrol attempted to dissuade them from this unilateral activity," the MEA statement asserted. The MEA further said that Bhutan has also publicly said that China tried to construct a road in Sikkim. "The Ambassador of the Royal Government of Bhutan (RGOB) has publicly stated that it lodged a protest with the Chinese Government through their Embassy in New Delhi on June 20. Yesterday, the Foreign Ministry of Bhutan has also issued a statement underlining that the construction of the road inside Bhutanese territory is a direct violation of the 1988 and 1998 agreements between Bhutan and China and affects the process of demarcating the boundary between these two countries. They (Bhutan) have urged a return to the status quo as before 16 June 2017." The MEA further added that "in keeping with their tradition of maintaining close consultation on matters of mutual interest, RGOB and the Government of India have been in continuous contact through the unfolding of these developments". New Delhi said that in coordination with the RGOB, Indian personnel, who were present at general area Doka La, approached the Chinese construction party and urged them to desist from changing the status quo. These efforts continue". "The matter has been under discussion between India and China at the diplomatic level in the Foreign Ministries since then, both in New Delhi and Beijing. It was also the subject of a Border Personnel Meeting at Nathu La on June 20." India said as far as the boundary in the Sikkim sector is concerned, "India and China had reached an understanding also in 2012 reconfirming their mutual agreement on the 'basis of the alignment'. Further discussions regarding finalization of the boundary have been taking place under the Special Representatives framework". The MEA maintained that India has consistently taken a positive approach to the settlement of its own boundary with China, along with the associated issue of the tri-junctions. The MEA statement maintained that "India is committed to working with China to find peaceful resolution of all issues in the border areas through dialogue".